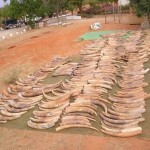 The international trade in elephant ivory has been illegal since 1989, yet African elephant numbers continue to decline. In 2016, the International Union for Conservation of Nature cited ivory poaching as a primary reason for a staggering loss of about 111,000 elephants between 2005 and 2015 — leaving their total numbers at an estimated 415,000…. A multi-year survey of the nutritional, physiological and reproductive health of endangered southern resident killer whales suggests that up to two-thirds of pregnancies failed in this population from 2007 to 2014. 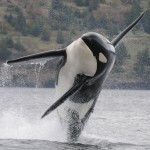 The study links this orca population’s low reproductive success to stress brought on by low or variable abundance of their most nutrient-rich prey, Chinook salmon. More than 90 percent of ivory in large, seized shipments came from elephants that died less than three years before, according to a new study from a team of scientists at the University of Utah, the University of Washington and partner institutions. 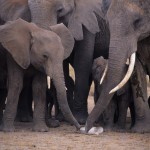 They combined a new approach to radiocarbon dating of ivory samples with genetic analysis tools developed by UW biology professor Sam Wasser. 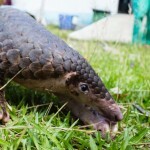 A team of conservationists at the University of Washington is among the Grand Prize Winners of the Wildlife Crime Tech Challenge for a proposal to identify poaching hotspots for pangolins, one of the most trafficked group of mammals in the world. 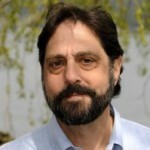 University of Washington biologist Samuel Wasser uses DNA evidence to trace the origin of illegal ivory and help police an international trade that is decimating African elephant populations. 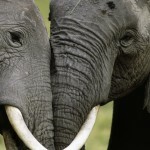 New results show that over the past decade, ivory has largely come from just two areas in Africa.